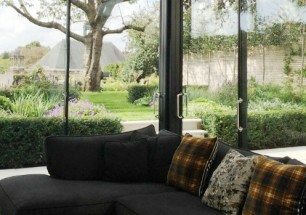 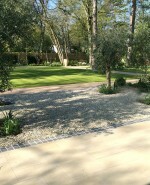 A large landscape for a contemporary new-build Georgian-style house. 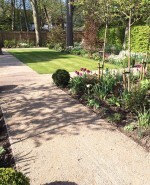 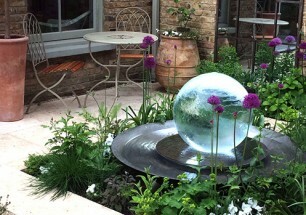 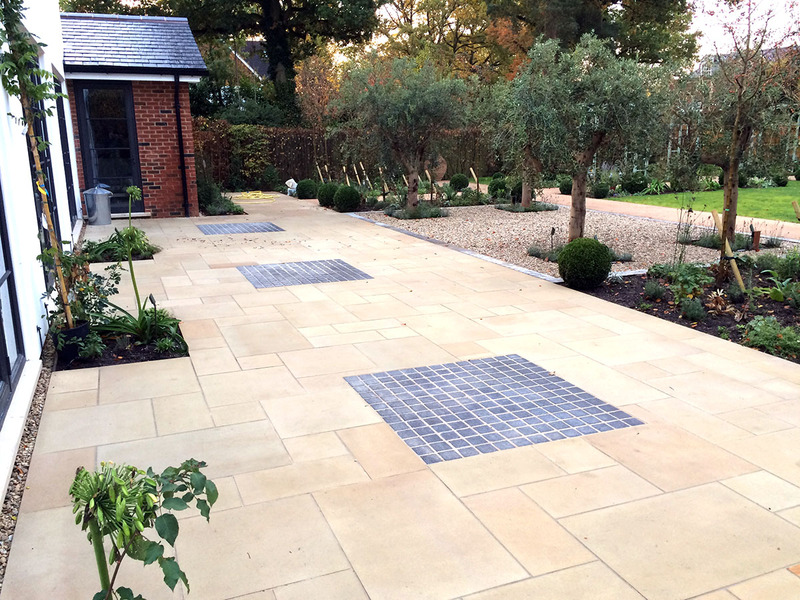 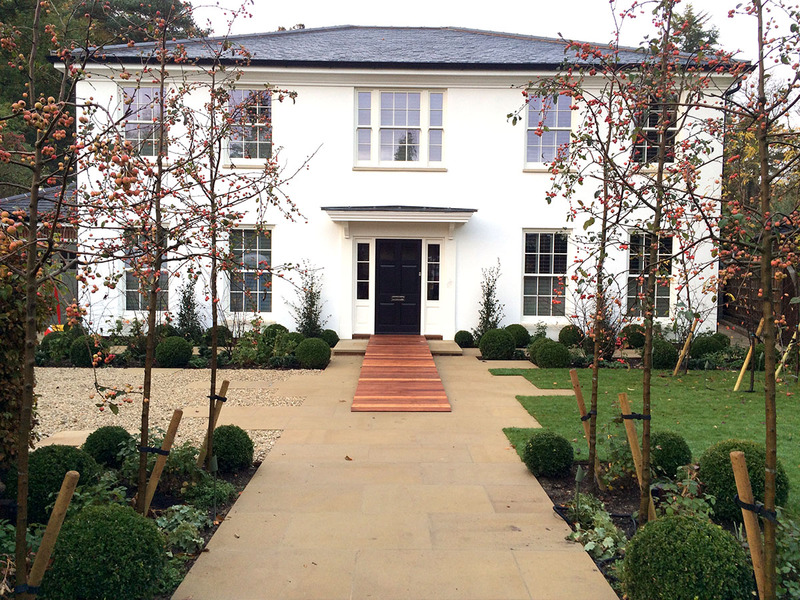 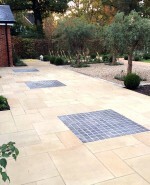 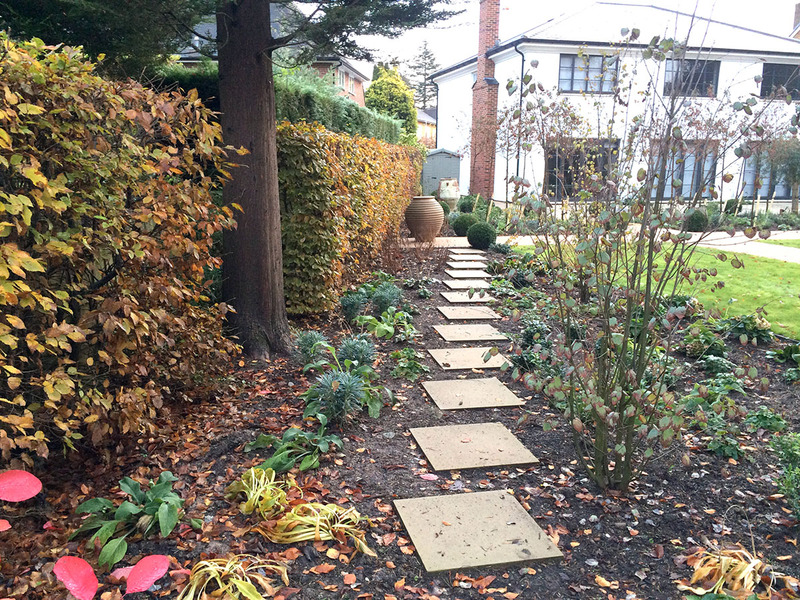 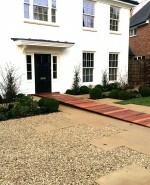 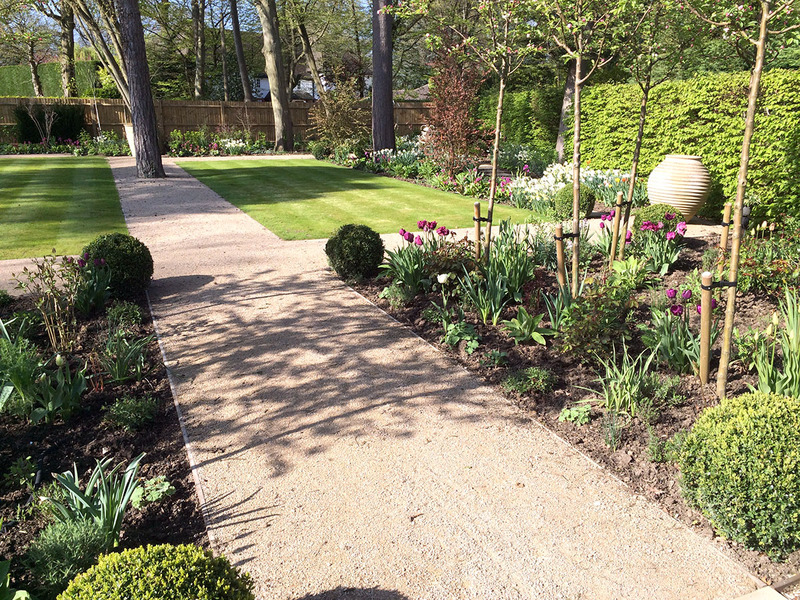 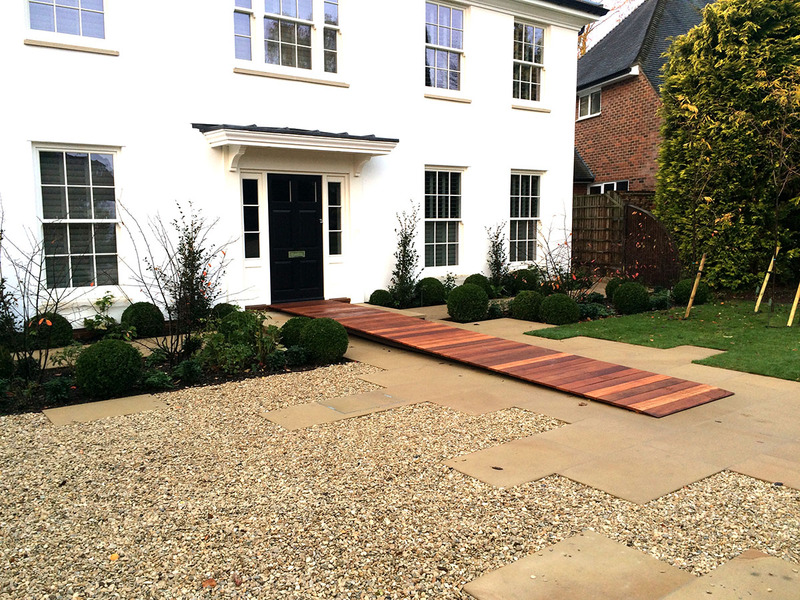 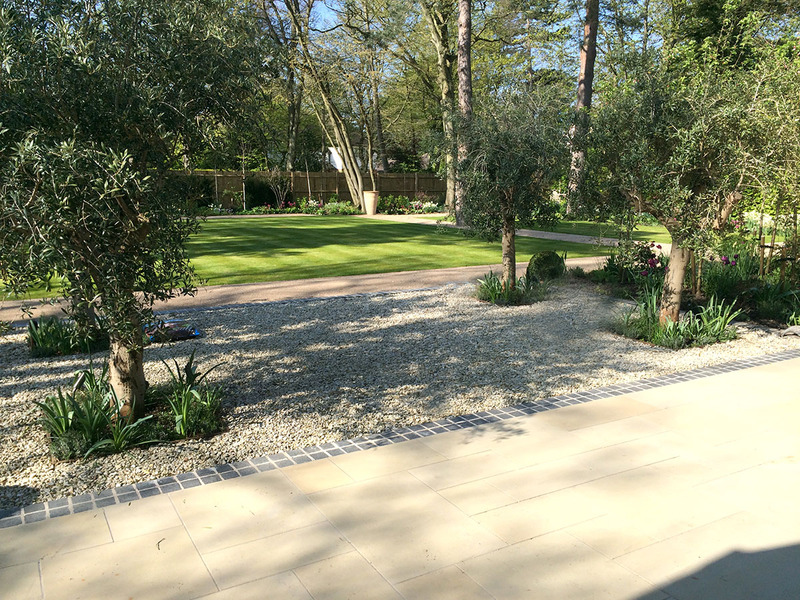 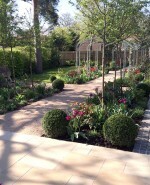 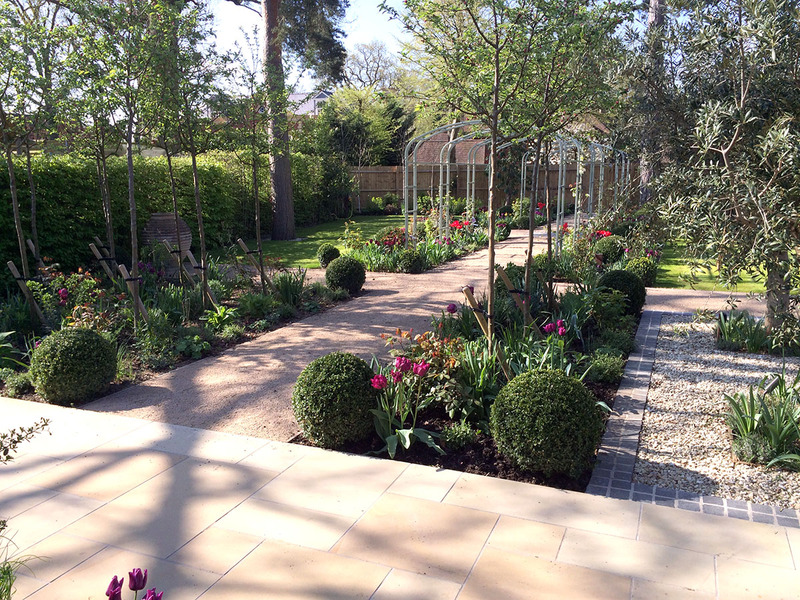 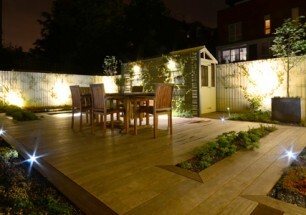 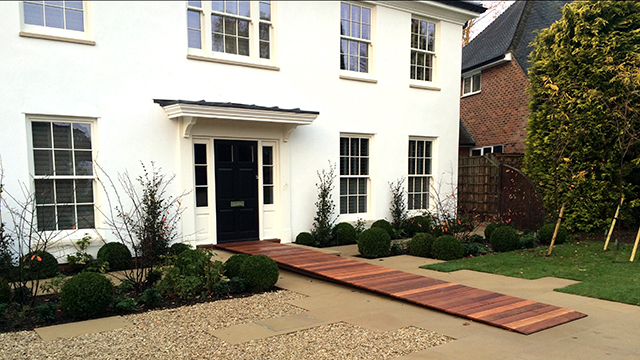 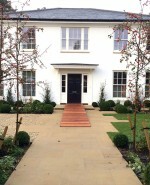 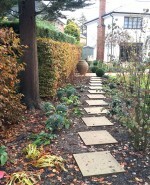 This expansive garden features a patio and wraparound path in sawn Yorkstone paving with basalt detail. 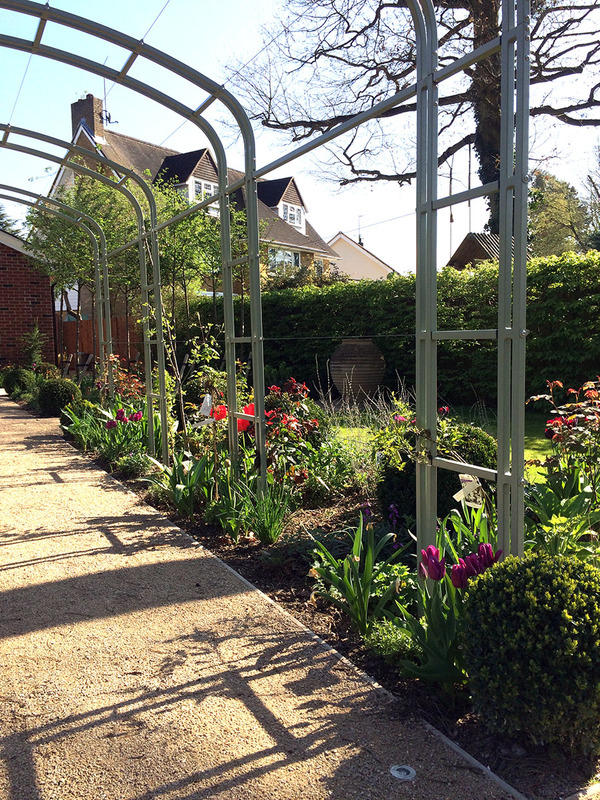 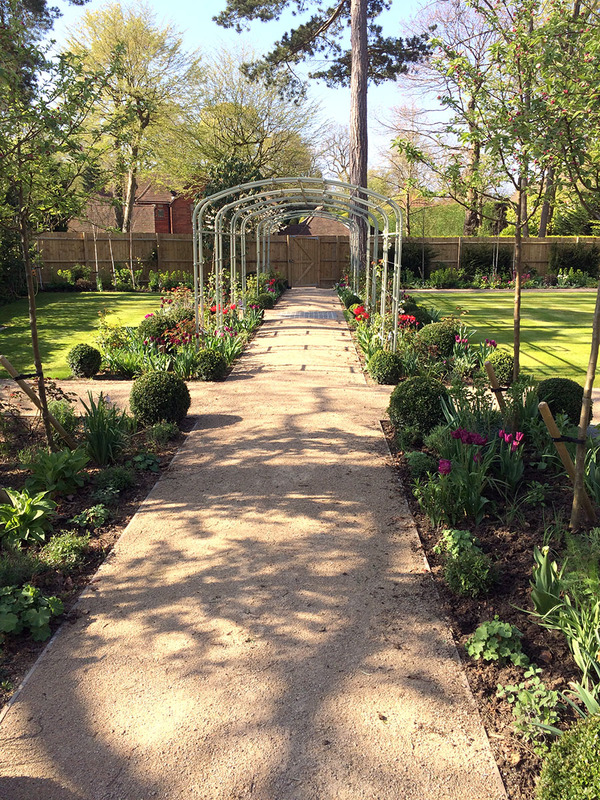 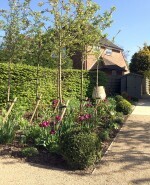 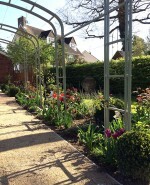 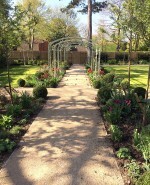 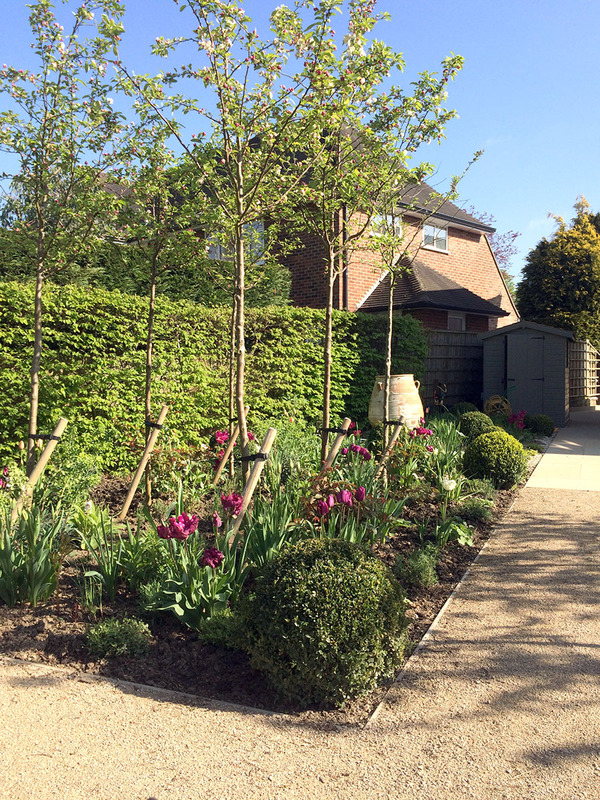 Crossing through the lawn and flanked by herbaceous beds a soft path of Breedon gravel leads through a rose arbour and reveals hidden seating areas. 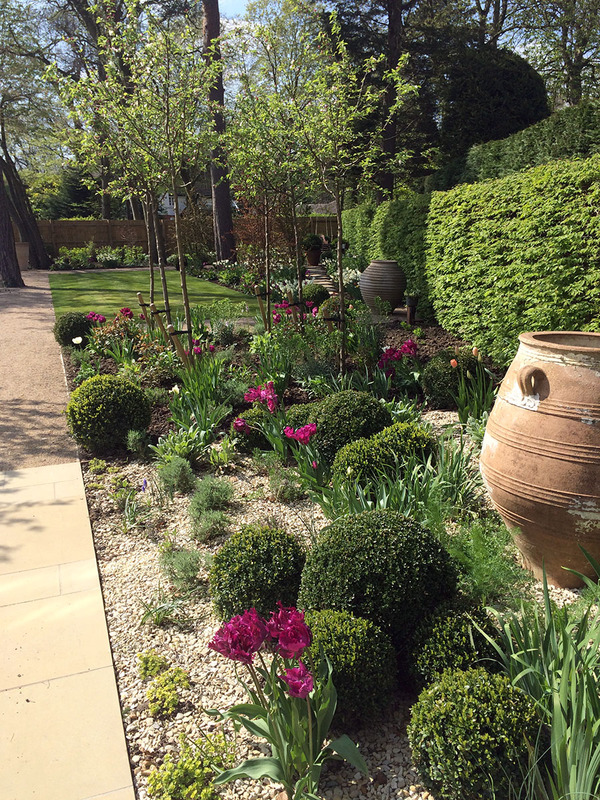 Large pine trees provide shade for terracotta olive jars that serve as eye-catching feature planters.